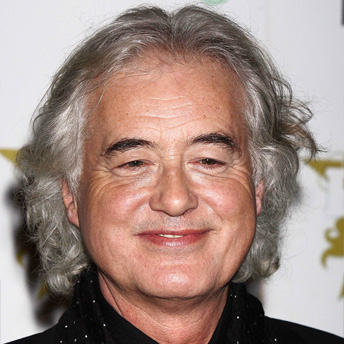 The latest news for the Zeppelin-obsessed came last week, when Aerosmith’s Brad Whitford revealed that Steven Tyler recently jammed with Jimmy Page, John Paul Jones and Jason Bonham in a London studio. Don’t read too much into it, though. Tyler idolized bands like the Yardbirds, Cream and Zeppelin back in his Sunapee Barn days, so I’m sure he had a fantastic time. But Whitford says Page’s high-powered invite was really designed to goad Robert Plant into touring. For that, he’s still my hero. Jones, however, who seethed when Page/Plant made “Unledded” in the mid-90’s without him, is fixated on a classic rock payday. “But we don’t want to be our own tribute band,” the bassist told the BBC. To which I reply, why not? Boston plucked their new lead singer from a karaoke bar; Journey found Steve Perry’s doppelganger on YouTube. More recently, Yes replaced the ailing Jon Anderson with Benoit David, who until the call came had been fronting – you guessed it – a Yes tribute band. This could make for great reality television. I know, INXS did it on “Rock Star,” but their lead singer was dead. Robert Plant is very much alive, and apparently doesn’t have any plans for the next couple of years beyond a possible follow-up to “Raising Sand,” the album he made with Allison Krauss. Though he may not be interested in playing with Led Zeppelin, perhaps Plant could be coaxed into helping pick his replacement. Picture it – with dreams of stadium shows filling their heads, cover bands count off “Whole Lotta Love” with renewed vigor. Aging rockers clear out garage practice space, and once again squeeze into ripped old bell bottomed jeans – all for a chance at the top. High drama ensues when Plant, weary of these Golden God wannabes, says, “sod it all, I’ll do it myself,” and then demurs. As each hopeful takes a shot, real time ticket price estimates crawl across the screen like a Dow Jones report. That, after all, is the reason for the exercise. How much will fans pay to see this farce? Thursday: Jason Cann, Casa del Sol – When this newly opened Ascutney restaurant was known as Moguls in the 1980s, it hosted bands like Foghat and Marshall Tucker. The live music tradition continues weekly with Cann, one of my favorite local singer-songwriters, and in January, Wise Rokobili will perform Saturdays. There are plans to present even bigger names in the future – good news indeed. Friday: Red Molly, Boccelli’s – This trio, who met around a Falcon Ridge campfire a few years back, has built an avid area following since playing the Roots on the River festival in 2007. Their gorgeous harmonies can take your breath away. I could watch them for hours. Upper Valley fans got a taste of them last summer. If you like smooth, elegant folk music, you’ll love Red Molly. Saturday: Bob Marley, Claremont Opera House – One of the funniest people alive, and the hardest working comedian I know is back for another area show. Unlike many comics, Bob brings a new set of material every time he comes to town. He can form a bit in his head in the morning and have it audience-ready by the time he walks on stage, riffing on current events, his parents (who must love the exposure), and life in New England -the essence of Ha! Sunday: Nine Inch Nails, Worcester Centrum – I don’t typically plug many arena shows, but it’s worth noting that as the music business implodes, NIN (who play in Manchester Saturday) is thriving. Why? Leader Trent Reznor does right by the fans. He gives away entire albums on the band’s web site, has no label and kowtows to no bosses. He keeps things interesting and never forgets the reason for his success – and NIN sells out everywhere they appear. Tuesday: Dartmouth Wind Symphony, Spaulding Auditorium – Highbrow music from an ensemble celebrating its 25th year with founder/director Max Culpepper. This show features selections from Aida, Carmen, Madame Butterfly, the Marriage of Figaro and other masterpieces, arranged for flute, clarinet, trumpet and other wind instruments. Wednesday: Off the Beaten Path, Woodstock Town Hall Theatre – Subtitled “A Jazz Tap Odyssey,” this program joins a jazz quartet consisting of piano, bass, drums and woodwinds with a company of six tap dancers. They perform a program inspired by proto-environmentalist author Rachel Carson. There’s a special “Arts In Education” program for school kids at 12:30, and a public performance at 7:30.